They’re super important, and every design needs them, but let’s face it – connectors have gotten a bad rap for being a bit boring. 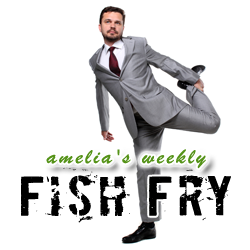 In this week’s Fish Fry, we explore the multi-faceted world of connectors and cables – where signal integrity rules the roost and multi-gigbit SerDes is king. My guest is Joe Dambach (Molex) and we discuss how Molex is using correlated models to solve today’s signal integrity and high-speed serial design challenges, how datacenters are changing the face of connector and cable technology, and why connectors and cables aren’t as boring as we once thought they were. Also this week, we look into this week’s hottest rumor swirling around the EE halls: Will Intel buy Altera? Feature Article by Kevin Morris and Bruce Kleinman: Intel Plus Altera – What Would it Mean? Feature Article by Kevin Morris: When Intel Buys Altera – Will FPGAs Take Over the Data Center?